It’s weirdly quiet inside the Memphis Drum Shop. When I visited on a mid-week afternoon, there was no banging, no crashing cymbals, no background muzak for aspiring drummers to play along to. The Memphis Drum Shop has six showrooms stocked with new and vintage drum sets, obscure hand drums and chimes, gongs, tympani and bongos. In this palace of percussion, professional grade drum kits share floor space with beginner sets and pearly vintage drums. There’s a shrine-like room entirely devoted to cymbals. 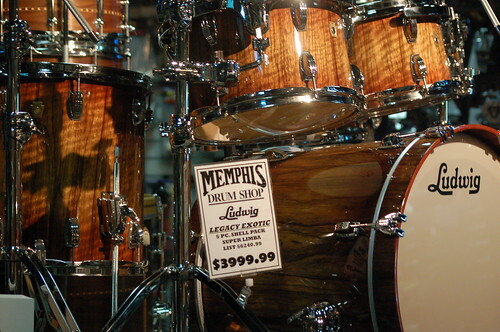 Open in Memphis since 1987, the Memphis Drum Shop is considered one of the best drum shops in the world. Legendary drummers of all kinds have given performances and workshops in the upstairs performance area and the drum shop has the largest display of Zildjian and Paiste cymbals in the world. 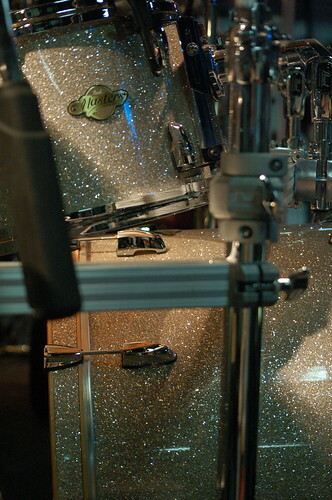 In addition to the showroom, the drum shop also manages a large ecommerce business, repair shop, and archive of drum catalogs (from 1900 to the present). For those wanting to rock but unsure of where to start, the Memphis Drum Shop has seven percussion teachers on staff and offers discounted lessons with the purchase of some drum kits.